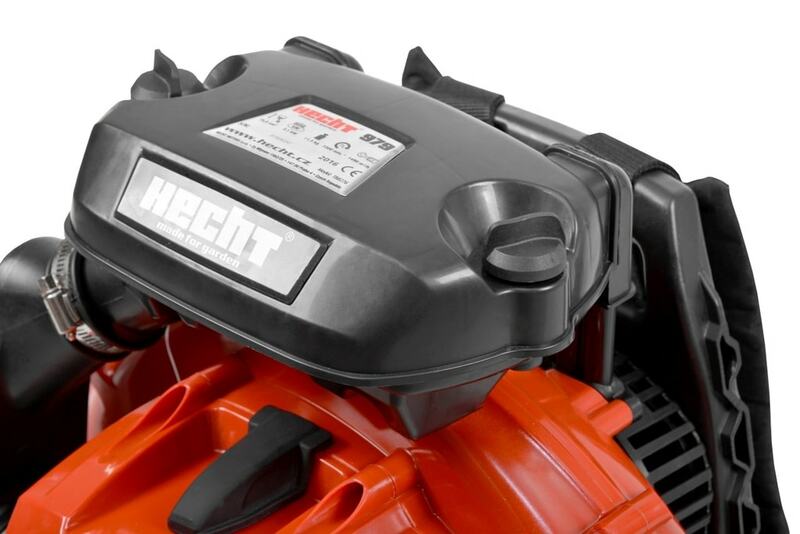 HECHT 979 is powerful blower with 2-stroke engine, displacement of 75,6 cm³ and power 4,2HP. Operating engine speed is 7300rpm, in combination with high-quality turbine produces blowing performance 1490m³ air/hour. 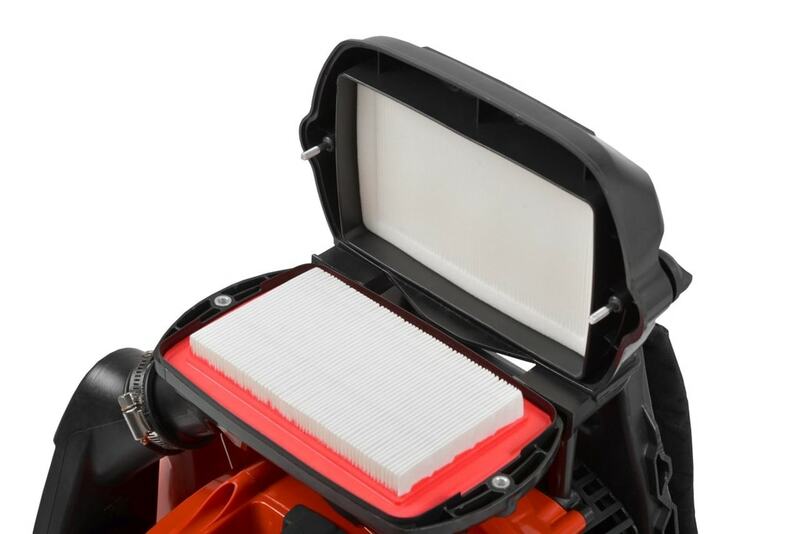 Operating with the blower can produce some dust, therefore is engine equipped with a big and quality air filter which substantially increase its lifetime. For easy start of the engine is carburettor equipped with a choke and a primer for manual batching of fuel. Althought the fact it is a powerful machine, the weight is only 11,5 kg, thanks to use the combination of modern materials. For making of the operation even more convenient, is an engine unit, equipped with antivibration system, suspended on the support frame with the straps. Therefore the vibrations are not passed on the operators back; it reduce tiredness and back pain during longer operating. 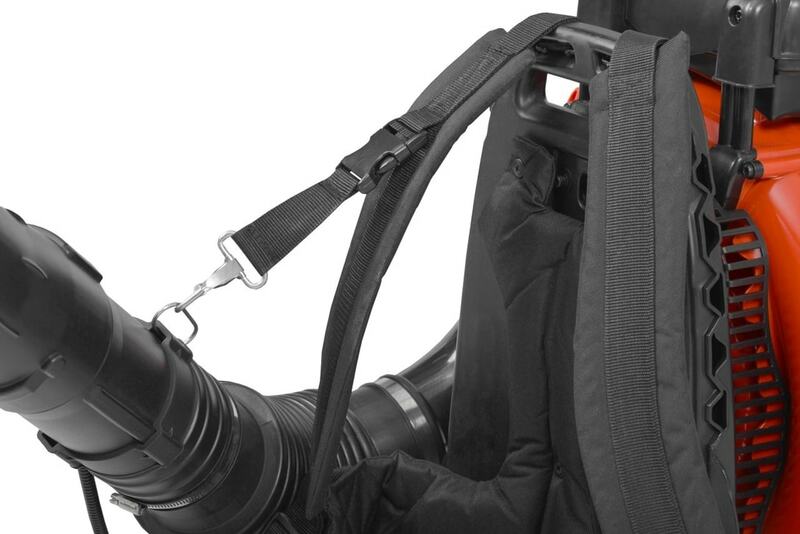 The supporting frame is fitted with soft ergonomic padding on the back as well as padded shoulder straps. These straps are adjustable, so its shaped to fit the contours of the operator. 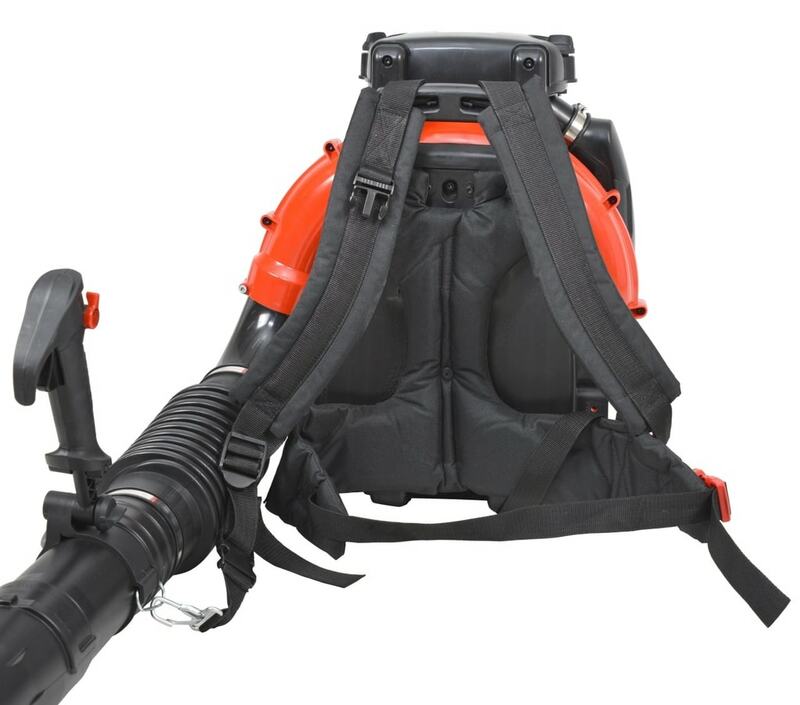 If the straps are adjusted properly, the weight of the product is perfectly spread and carry of the blower is very comfortable. 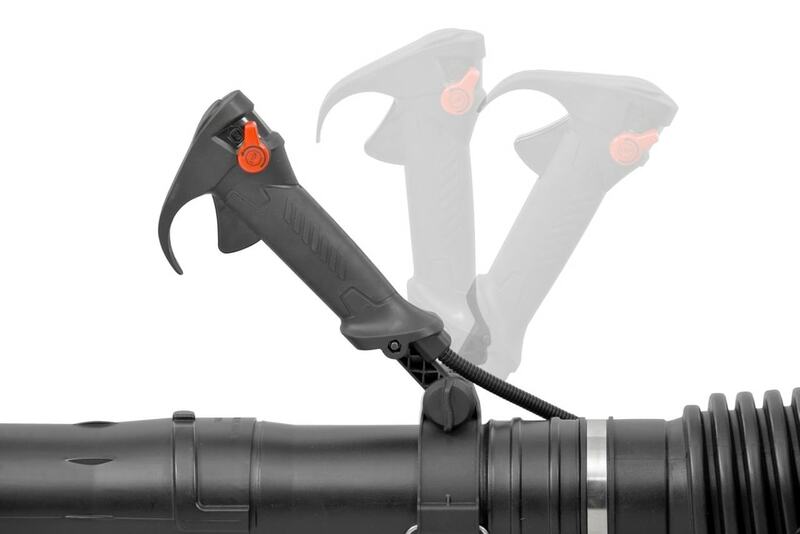 The pipe is connected to the machine by the flexible knee, blowing direction is controlled by ergonomic handle. The slope of the handle to the pipe is adjustable, so it can be adjusted to the best possible position for hand and wrist; during long operating should be strained by keep the handle in uncomfortable position. On the handle is placed the trottle control, which has a lock. The operator can control an engine speed directly by press of the button; it is also possible to adjust constant engine speed. 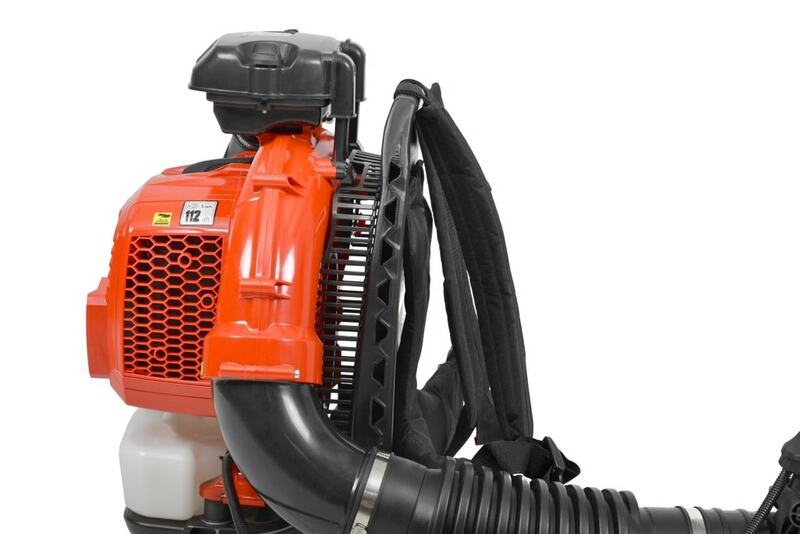 When using blowers, there is a common problem with the hand limpness; the hand which control the pipe, has to hold also the most of the machines weight. 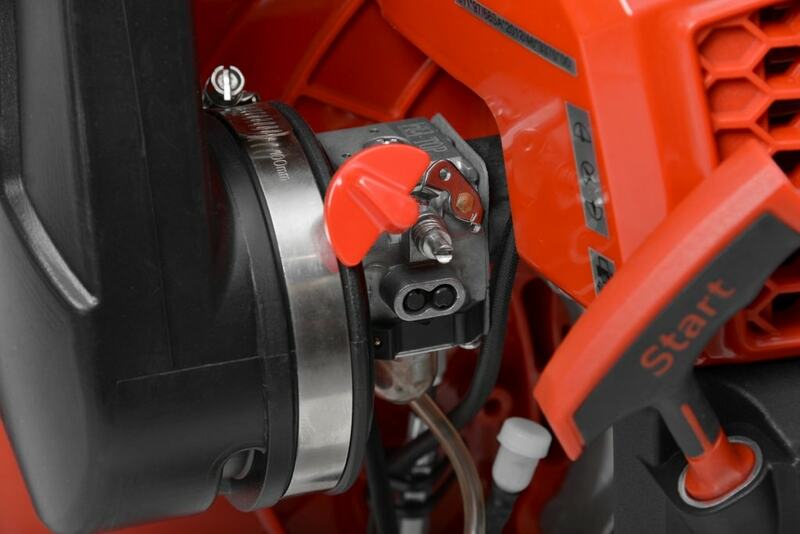 HECHT 979 is equipped with the fixing ring, which can fix the snap-hook with the harness. 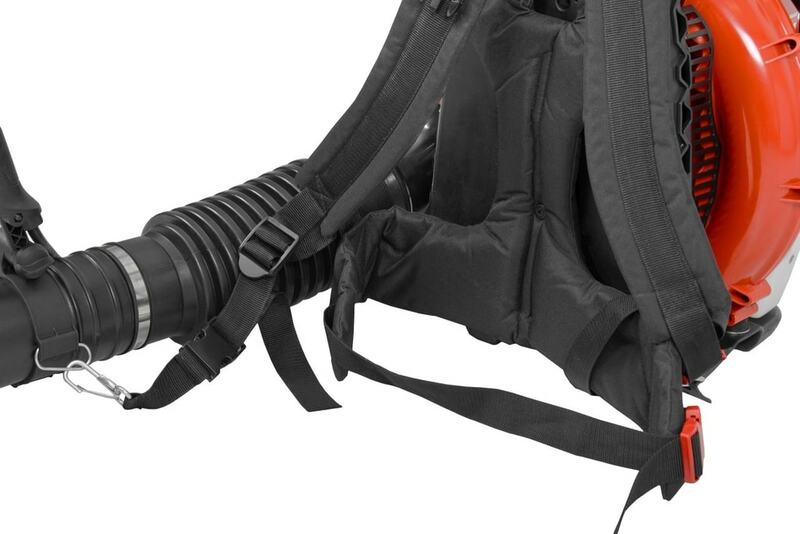 If proper adjusted, the most of the pipe weight is transferred to the shoulder straps; control of the pipe should be easy only by apply enought pressure on the handle to direction required. 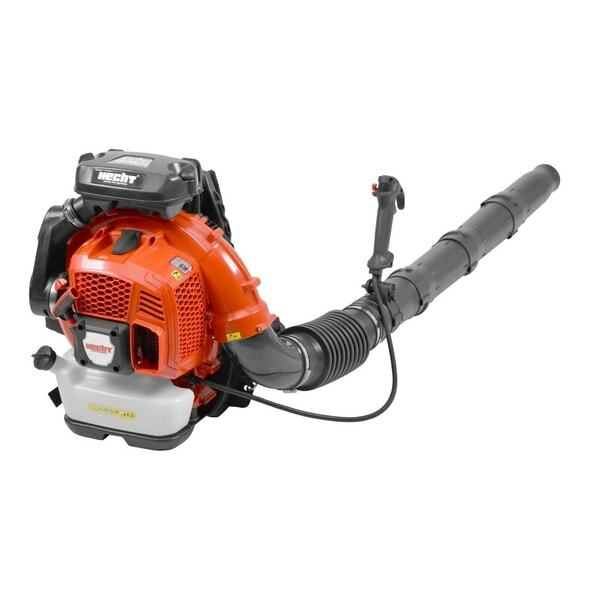 Therefore the blower becomes very comfortable during longer operating. The strap of the pipe is use also for its carrying and storing. On the left shoulder strap is placed the clip, to which can be fix the pipe strap; the pipe so can be carried in correct position. 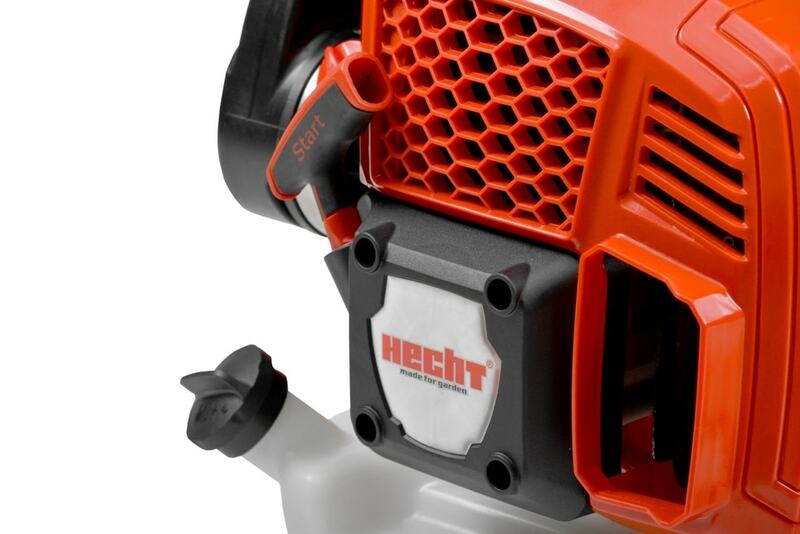 HECHT 979 will surely becomes an useful helper in every garden, because of its performance and also modern design. 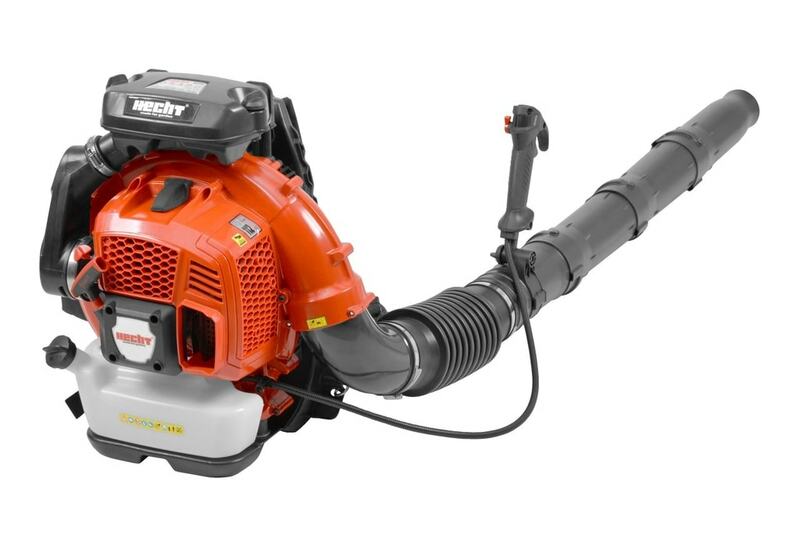 The blower easily blows leaves and other garden waste even from the bad accessible areas under bushes; thanks to adjustable speed and blowing adjustment can be also used for cleaning roads and pavement.